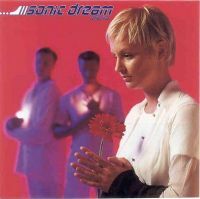 Sonic Dream Collective was a Swedish pop band from the city of Uppsala. They had their greatest success in 1995 with the song “Oh, Baby All” which topped the Swedish national radio P3 Tracks chart. The debut album “Gravity” was also released the same year (1997 in the US). Members of the band were singer Linn Engström, songwriter Jon Hällgren and producer Anders Wågberg. Between 1994 and 1997 the band had their own record label Flying Duck Music together with producer Stefan Warnberg. Linn is still doing music, but her solo albums are made for Sweden public only. 2008 : Linn gave birth to Stella her 3th child. 2010 : Linn Maria release the new album it's called "Mamma Bland Annat" (A Mom among other).